How Far is Century Artizan? While most of us visit art galleries to nourish the souls, a lucky few get to live in them. That is Century Artizan for you. Century Artizan is home to the most amazing collection of unique sculptures, housed in acres of verdant tranquility. Conveniently located off the KIAL Road, Century Artizan comprises of secluded plots of 50 x 80 offering you a stunning canvas upon which to build your dream home. Plotted developments in Bangalore have found a new destination in Century Artizan. 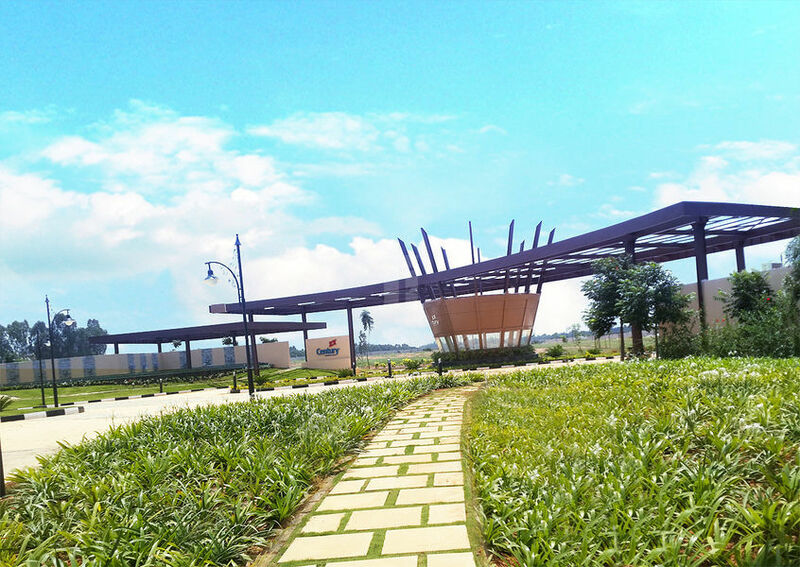 There are many plotted developments in Bangalore which have come up in the recent years, but none come with promise of quality as Century Artizan does. Like the Greek philosopher Aristotle said, quality is not an act, it is a habit. The words are true and it holds true with all the developments undertaken by Century Real Estate. Addtional Amenities: Entrance Lounge with reception,Guest rooms, Outdoor party area, AV Room, Spa- Steam/Sauna/Massage, Aerobics,Changing rooms, Squash court,Video Games Arena, Convenience store, First Aid Room, Flexi court,Sculpture garden, Art fountain at Entrance,Meditation Greens, Tranquility Park, Reflexology garden,Fibre to Home provision. BDA Approved layout , the only CAT-A developer plotted development in radius of 10 kms with full fledge amenities. Well located in Yelahanka, good access to Bellary road and upcoming PRR. Assistance in design and construction of the villa. Grand entrance plaza, almost 2.5 acre with water body and plantation. 30 Mt grand main road, minimum width of the road -12 Mt, congestion free movement across the development. 3 Mt walkway separating parks from the plots, more space and privacy. Low density living (6 plots per acres). Foam core pipes used for waste water collection, will not bulge or break unlike PVC pipes. Double wall corrugated pipes for sewage, flexible, corrosion free, resistant to acids and harsh chemicals, long life, low noise. Pavers & kerbs of superior quality complying to ISO standard , maintenance free, long life. Roads designed in lines of highways with multiple layers of aggregates and finishing materials, long life & high load capacity. 10,000 Sq Mt Clubhouse planned in lies of the resort for exclusive use of the residents. Breakout spaces/parks spread across the layout for easy access. Sprawling complex with beautiful landscapes. Good connectivity to Bellary road and upcoming PRR.